Shopping for the holidays is both difficult and expensive, especially for college students, but what if it didn’t have to be? Places like Polaris Mall and Easton Town Center can be intimidating from the outside. There are shops such as Kate Spade and Anthropologie that not only look expensive but actually are expensive, and there’s the stress of the hustle and bustle of people scrambling for the perfect gift. But at Easton Town Center, it’s not always that bad. There are some very fun-filled diamonds hiding in the rough that provide both unique and personal gifts for anyone in your life. Candy stores are always a good time. 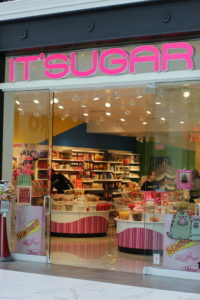 IT’SUGAR is a little different, though. It has everything from Harry Potter chocolate frogs to literal chocolate crickets to inedible gifts like Donald Trump toilet paper. Although some of the sweets at IT’SUGAR can be a bit pricey, they provide one-of-a-kind treats for anyone in your life, whether they’re into fruity flavors or chocolatey bliss. With deals such as 2 for $20 on 14oz candy boxes, it’s easy to avoid breaking the bank. 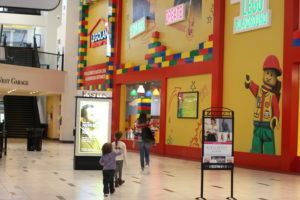 Easton Town Center has two LEGO hubs on its grounds, one being a small store outside of the mall and another is a store inside the mall attached to the upcoming LEGOLAND, an interactive playground that will open next year. At the LEGO store, patrons can purchase anything from the Hogwarts castle to key chains of LEGO men dressed up as a hot dog. One of the coolest parts of the LEGO Store is the section where there are bins of different body parts that can be built to look like anyone, which make both fun and personal gifts. The customizable LEGO people are only 3 for $9.99, making it easy to stay within your budget. Bath and Body Works is notorious for its good smells, and they have one for everyone. From musky men’s scents and floral women’s fragrances to everything in between, Bath and Body Works has a wide array of perfumes, lotions, and shower gels. They also have products like their iconic 3-wick White Barn candles, as well as bath bombs, face masks, fuzzy socks, and hand sanitizer. 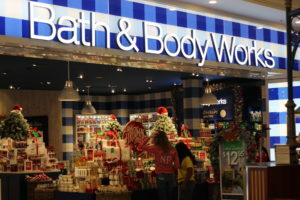 The great thing about Bath and Body Works is that although the prices are intimidating at first glance, there is almost always a sale going on, whether it’s buy three get three free body care, 20% off your purchase, and even the occasional free item. 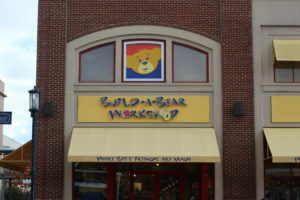 Build-A-Bear Workshop is an exciting place to go when it comes to gift-giving, but the thing about it is that gift cards are likely the way to go. 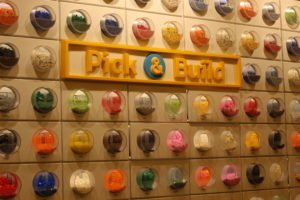 Build-A-Bear Workshop is a place that walks customers through the process of picking out and building their own stuffed animal, customizable with sounds, clothes, and shoes. Although it’s typically looked at as a shop for children, it can be a lot of fun for college-aged students, as well. 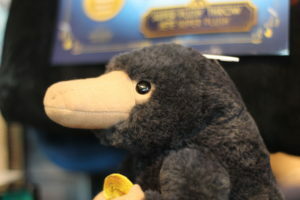 They have Pokémon, seasonal items such as the Grinch, Star Wars characters, and actual animals such as bears and cats. Hot Topic may typically be looked at as a store for those in the alternative crowd to get band t-shirts and the like, but realistically it has much more than that. 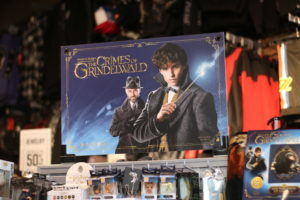 For example, with the new Fantastic Beasts movie coming out soon, Hot Topic is repping plenty of Harry Potter universe merchandise. They also have the goods for shows like Riverdale and Dragon Ball Z. 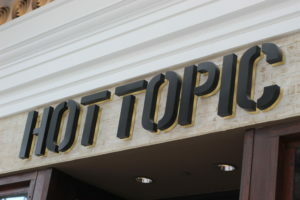 Hot Topic also has cosmetics, accessories, and a wide array of body jewelry, making it the perfect place to shop for anyone you know.